According to a survey of 37 studies on e-commerce shopping habits, the average rate of online shopping cart abandonment (when shoppers add an item to their cart but never complete the transaction) is 69.23 percent. Of that figure, more than half the abandonments were due to the fact that the shopper was not actually ready to buy and was simply browsing or comparing prices. These abandonments are largely based on the nature of online shopping and are unavoidable. However, the remaining shoppers who leave before converting sales do so mostly because of issues with the online retailer and the check-out process. 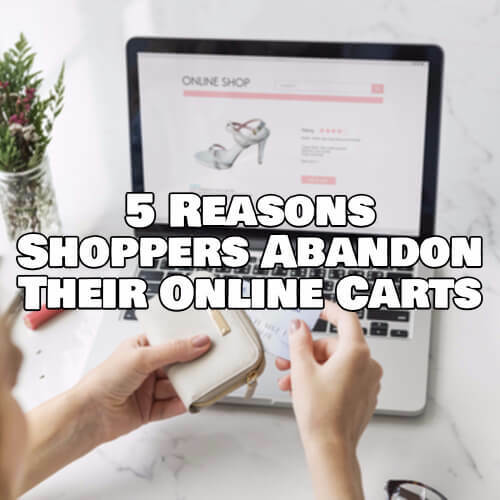 Understanding what makes shoppers abandon carts presents a great opportunity for online retailers to increase sales and create satisfied, loyal customers. Here are five reasons that shoppers fail to follow through with online purchases and how e-commerce sites can fix those issues. Customers will abandon items if they are not absolutely clear about what the product is they are buying. Modern shoppers will thoroughly research an item for price and quality when shopping online. Online retailers should be certain to include both high-quality photos and detailed product descriptions. A service like Content Analytics can help provide insight into ecommerce content management. It can help identify and replace missing attributions and product details. For retailers that sell their product on multiple websites, Content Analytics allows brands to update all of their product pages without having to individually upload content to each and every website that sells their product. One of the most frequent reasons shoppers give for abandoning their carts is that they are presented with extra costs at checkout that they were not expecting. E-commerce sites can avoid this by listing all costs upfront and when possible, offer free shipping with a minimum purchase. According to a study by Deloitte, 69 percent of shoppers are more likely to shop at online stores where shipping is free. Conversely, 61 percent of shoppers would move on to another retailer if there was not free shipping, Shopify reports. Another way to avoid unexpected costs is to provide a shipping calculator that will show shipping costs and tax when shoppers click on the view cart page. Many customers who abandoned their carts report that they did so because the website required they create an account to complete the purchase, Baymard Institute says. Research by User Interface Engineering found that a 45 percent uptick in completed transactions after a registration requirement was removed from checkout. Customers will also abandon their cart if there was an error during the checkout process. Retailers should ensure they have a dedicated server that can handle the current and potential traffic to the site and still perform seamlessly.